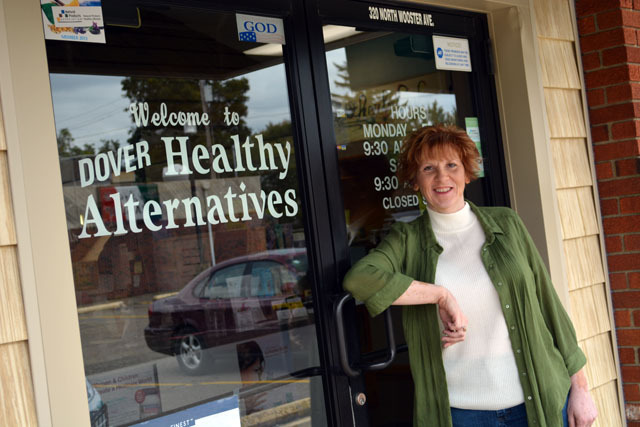 Dover Healthy Alternatives was started September 1st, 2000 by Connie Ciekanski. We started in Downtown Dover and moved to our present location in May of 2003. We currently employ 10 people, some of the staff have been here from the downtown days. We are truly passionate about helping our customers! We hope you enjoy our new website. We plan to highlight different supplements, a blog with Mike Warther, offering coupons, and keeping it active so you want to keep reading! 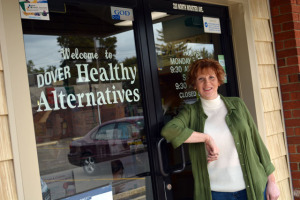 Dover Healthy Alternatives is a complete health food store. We offer herbs, vitamins, cosmetics, body care, natural make-up and skin care, bulk and bag teas, natural foods, sports nutrition, protein bars, salt lamps, homeopathics, essential oils, books, cleaning products, animal supplements and more. We also have a lunch cafe and smoothie bar which are quite popular with the customers of Dover Healthy! We would like emails from our customers on products they have benefited from so we can create a testimonial page. As always…..Thank You For Your Business!!! !